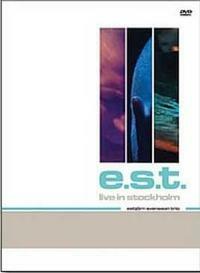 This is the only official live DVD of Swedish jazz/rock ensemble Esbjörn Svensson Trio (EST) available so far, which is a shame. As it was recorded in 2000, that means that the later and (to many) more exciting portion of the band's live career remains undocumented. Having said that, this release features a cracking (complete?) concert set drawn mostly from their From Gagarin's Point of View album, including the atmospheric title track. At 1 hour 36 minutes, it's a good length, and the music is, of course, superb. The film is less so, though: there is some dodgy camera work in evidence, and some questionable direction choices. Perhaps the most noticeable problem is that some of the footage seems to be from lower-quality equipment, giving an unsatisfactory blurred and grainy image in many shots. The film starts with mock-aged B/W shots of the stage floor and other random scenes – all a bit pointless! 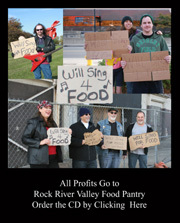 Luckily, the directorial style settles down as the concert goes on. This is crucial, as I'm sure many viewers will want to check out how these three musicians create their unique and distinctive sounds. So a clear image is essential when hands and bits of weird kit are in view. Svensson famously has a very “hands-on” approach to the piano: reaching into the bowels of his Steinway to damp individual strings or peel off harmonics. Likewise, Magnus Öström is seen here holding a brush, a stick and what looks like a shaker simultaneously in his right hand, and he has some interesting gadgets hanging off his kit. The stage is quite small, and apart from the musical equipment and lights, only two fluted columns serve as decoration. The acoustic instruments are surrounded by amplifiers and effects devices, so it's quite cluttered. So what about the music itself? There are some classical acoustic jazz trio pieces such as “'round Midnight,” but most tunes feature some element of rock performance or electronic trickery, whether it's a subtle distortion and echo on the piano, a screaming fuzz and wah-wah on the bass, or flanging on the drums. Most tracks are quite different to their studio counterparts – often extended and varied (as a good jazz concert should be!). The first few tunes are quite laid-back, perhaps leading the newcomer to wonder what all the fuss is about. But it's worth hanging in there, as the band warm to their audience and begin to turn up the steam. Highlights include the beautiful, flowing “The Face of Love,” with mesmeric eastern melody – augmented by an extended intro featuring bowed bass and a tabla drum. The sound is punctuated by odd twanging noises, some of which appear to come from Svensson (doing something weird to the piano) and from some peculiar instrument of Öström's. “Bowling” features a wonderful Öström drum solo, including a rendition of the main theme made by hitting a piece of sprung metal. “Dodge the Dodo” is perhaps the most well-known tune, with its instantly recognisable damped-piano introduction. It also features a stunning Dan Berglund bass solo, bowed and piped through a heady fuzz/wah cocktail. In places it's reminiscent of Jimmy Page in full flow. Apart from the concert footage, the DVD features a short interview (in English) with the band. There are two promotional videos (for “From Gagarin's Point of View” and “'round Midnight”), which are welcome, if not very exciting from the visual perspective. 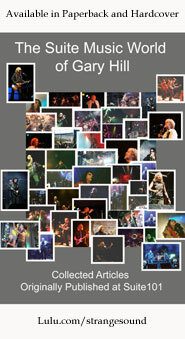 Finally, there's a presentation of photos from recent tours, to the soundtrack of the tune “Gallery Galore.